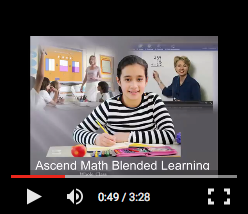 Educators using Ascend Math quickly developed a powerhouse approach to blended learning. 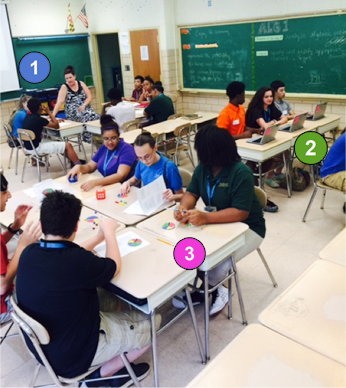 Using Ascend Math, they have just the right mix of face-to-face instruction with technology-mediated activities. 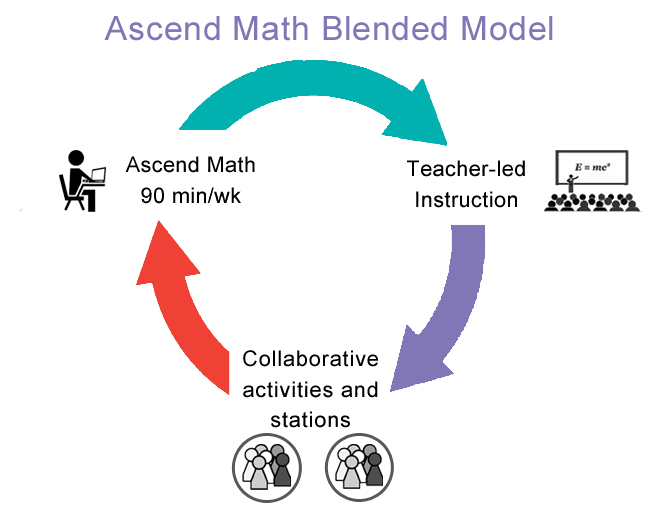 In fact, a blended learning approach has become one of the most popular and successful applications of Ascend Math. Ascend Math is intensive math intervention and enhancement that meets each student at their lowest skill gap and guides each through an individualized study plan unique to each student. Students working in Ascend Math receive a full range of instructional activities focusing only on their prescribed lessons. Students working in Ascend Math just one and a half to two hours each week see amazing gains, often one to two grade levels of improvement in the first few months. Ascend Math is a data rich program that only requires a few minutes of teacher time a few times a week to successfully monitor student progress. No matter which specific model of blended learning you are considering (station rotation, flipped classroom, flex model, or enriched virtual) Ascend Math better complements your whole class and small group instruction because it offers a truly individualized study plan for each student. This is what sets Ascend Math apart from other intervention programs and ensures greater success in a blended learning application. Small Group Instruction works when two or more students are ready to work on like objectives. Students spend 90-120 minutes a week in online individualized instruction automatically prescribed and delivered by Ascend Math. Project Activities provide the opportunity for collaborative learning. 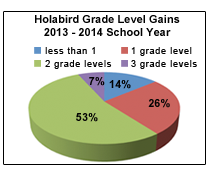 Holabird's blended learning program brought extraordinary success! 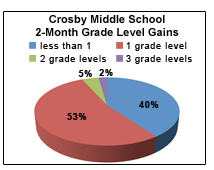 In six weeks, 60% of Crosby Middle School students gained 1 or more grade levels.